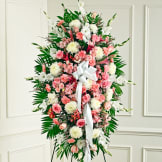 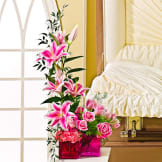 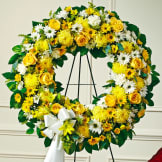 Remember cherished memories with a beautiful display. 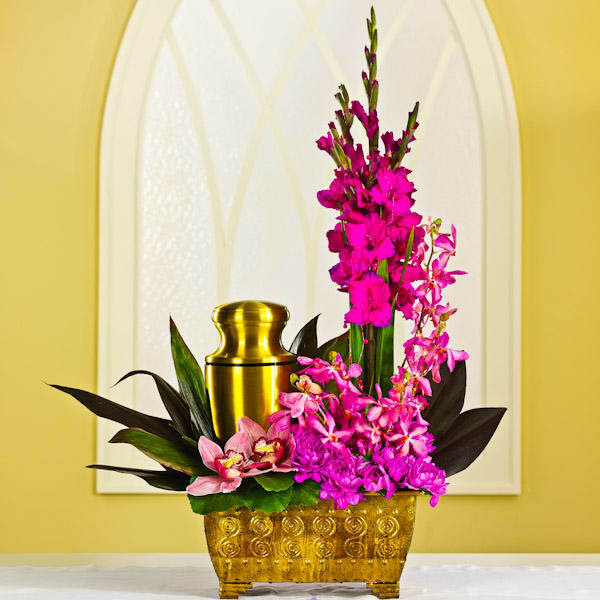 • Arranged with dahlias, orchids, gladiolus, ti leaves and galax in a copper tin planter (urn not included). • Measures 38"H x 29"W x 13"D.